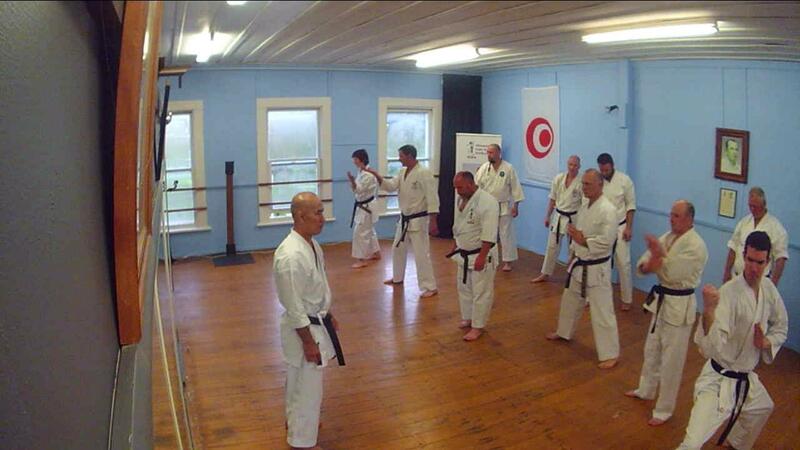 Taira Sensei spent about 10 days in New Zealand this year. 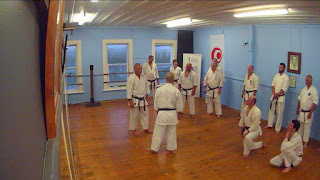 He arrived in Dunedin, in the South Island Thursday night, then was ready for dojo training at the Green Island Dojo Friday night. 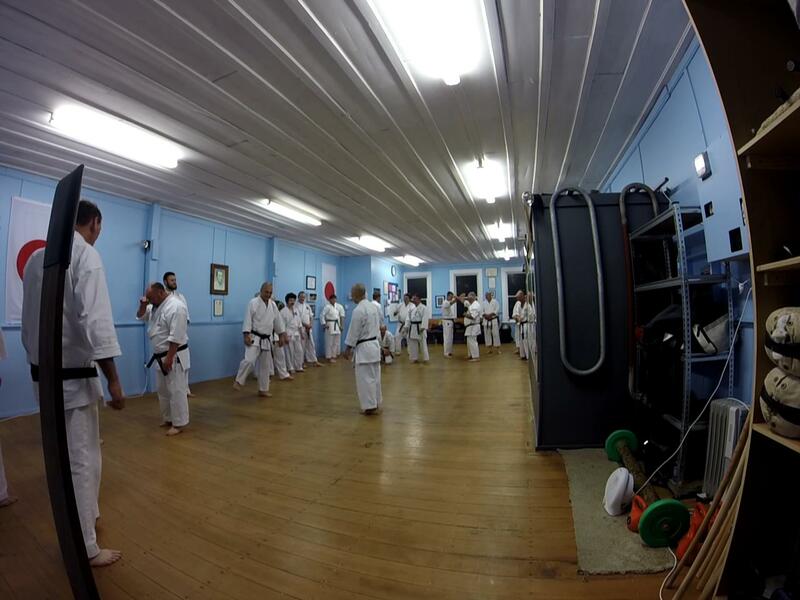 A good turnout of students from the Dojo, Steve Nedelkos from Melbourne, Riki Robinson from Wellington and Sennen Harry from Auckland, all took part in an introductory session, that largely focussed on the definition of Kihon Bunkai for gradings planned for the following Monday. 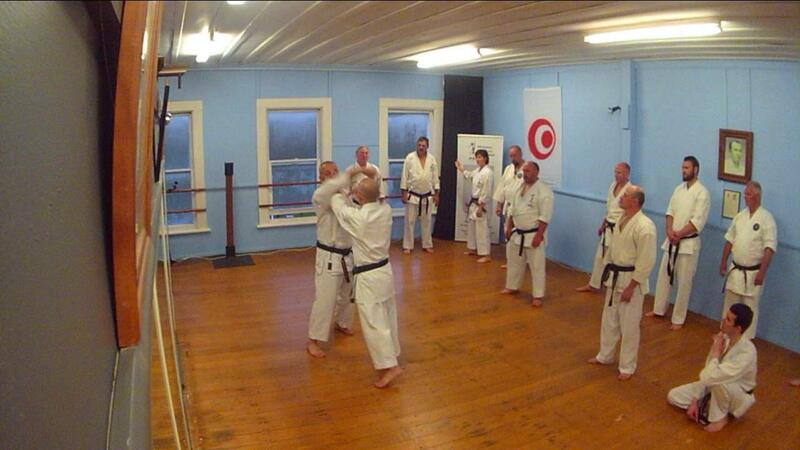 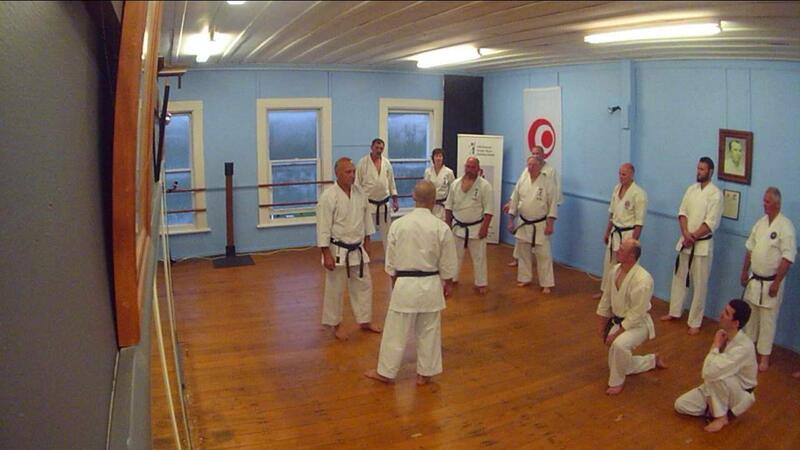 The session ran for about 3 hours, covering kata and basic bunkai. 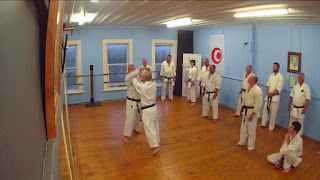 As Taira sensei has expressed to us, the bunkai, or kumite, for the gradings need to demonstrate good basic technique, with good timing and focus. That means good separation of technique to show focus before moving on to the next. So aim to be non-continuous, while still being fast and powerful.